Starbucks is "actively working" on a smartphone service that would let consumers order coffee before they get to a store, through its mobile app. In an interview with Bloomberg, Adam Brotman, chief digital officer at the brand, said Starbucks was "actively working" on the service that would let people order coffee or food while standing in line or before they enter a store, in order to save time. Brotman said: "It's something our consumers have asked for. We're not revealing lots of details about it now." He added that Howard Schultz, Starbucks' chief executive, was "working directly on all the mobile plans and vision we're putting together". 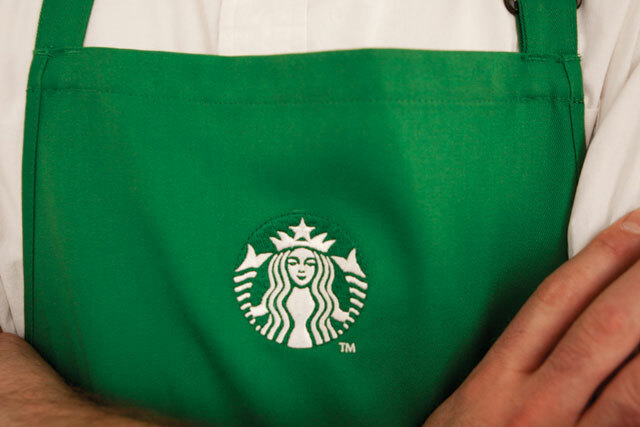 Shultz gave over his day-to-day duties as chief executive to Troy Alstead, the company's chief operating officer, last month, to focus on "next generation" retail, digital and mobile payments, Starbucks' loyalty programme, and e-commerce developments. "He's very involved," Brotman said. The Starbuck's app is already getting an update this Wednesday 19 March to include a new "shake-to-pay" service and a barista-tipping service. Brotman said more than 11% of Starbucks' transactions are done through mobile device in the US, with that number set to double in the next year.